MA SALAMA, WORLD GAMES ABU DHABI! Did you miss some of the Special Olympics World Games Abu Dhabi 2019 athletes in action? Well, now you can relive the moments! Check out the two-hour program highlighting the amazing competitions and the spectacular closing ceremonies, March 30th on ABC at 3 pm ET. As a young child, David Jensen dreamed of NBA stardom. All he thought about was basketball — and then one day, his life was upended. Born with a developmental disability and epilepsy, Jensen underwent brain surgery to help alleviate seizures, but during the procedure, he had a stroke. The then-11-year-old awoke legally blind — with only 20 percent vision in his left eye and none in his right. He thought his future as an athlete was shattered. That’s when a therapist suggested Special Olympics, an organization that gives athletes with intellectual disabilities an opportunity to play sports. Tennis was the first available option, so Jensen gave it a try. Initially, he couldn’t properly track the movement of the ball, but he adapted quickly. “My tennis coach did more for me in those weeks than the therapist did over, like, a month,” he said. Within a year, he says he had won a gold medal at a Special Olympics competition — a sign of renewed athletic prowess. “Tennis, in that regard, saved my life,” Jensen said. In 2015, Jensen barely missed out on the U.S. team for the Special Olympics World Games, a global event that showcases top athletes. Still, he traveled all the way from his home outside Denver to Los Angeles to cheer on the friend who beat him for the spot. He took his camera with him. UAE, 20 March 2019: It’s not everyday you see athletes in their 70s competing in a global sporting competition – that is until you meet Roland Foerster. This week, Roland has been showing that age is just a number with the 77-year-old competing in the Level 2 Unified sailing competition at Special Olympics World Abu Dhabi 2019 as a Unified Partner. A civil engineer by trade, his passion for sailing started way back in 1965 and the American has made huge waves on the waters. It was in 2004 that he was introduced to the Special Olympics program in USA and 12 months later, he was representing his country as a Unified Sports Partner. His latest competition has seen him share his knowledge by guiding Special Olympics athlete Tyler Dodson, who is skippering their boat at Abu Dhabi Yacht and Sailing Club. “It is hard for me to put it into words what it means to be part of Special Olympics World Games,” added Roland. “In short, it’s an exceptional experience of a lifetime and one that I will always remember. Roland plans to keep on dedicating his time to the Special Olympics athletes and has even set his sights on competing in the 2023 World Games in Germany. “I enjoy sailing at my age and have no intention of stopping until I physically cannot do it,” he said. “I hope to inspire the athletes and I wish to be part of the next World Games in 2023. Those interested in watching the athletes compete in 24 Olympic-style sports can visit www.meetthedetermined.com where registration is open for all Games-time dates and venues. Under the patronage of His Highness Sheikh Mohamed Bin Zayed Al Nahyan, the Crown Prince of Abu Dhabi and Deputy Supreme Commander of the UAE’s Armed Forces, Special Olympics World Games Abu Dhabi 2019 is an integral part of local, national and regional plans to expand opportunities for people of determination in line with Abu Dhabi and the UAE’s shared vision of a unified and inclusive society. The first ever Special Olympics World Games to be held in the Middle East and North Africa will also be the most unified Games in the 50-year history of the Special Olympics movement, with inclusion of people of determination with intellectual disabilities in every aspect of the event. For more information on Special Olympics World Games Abu Dhabi 2019, including volunteer and sponsorship opportunities, visit abuDhabi2019.org or follow us on Facebook, Instagram and Twitter. ABU DHABI, 8th March, 2019 (WAM) — Etihad Airways, official airline partner of Special Olympics World Games Abu Dhabi 2019, flew in 350 Team USA athletes, coaches and support crew ahead of the Games taking place in the UAE’s capital next week. The athletes travelled from John F. Kennedy International Airport, New York, to Abu Dhabi International Airport on an award-winning Etihad Airways Airbus A380. The athletes received a celebratory farewell at JFK International Airport which was attended by three WWE superstars Mojo Rawley, Mandy Rose and Sonya Deville. In celebration of the Games, the Etihad Airways aircraft was decorated with specially branded headrests. Additionally, in the run up to the Games, Etihad Airways Cabin Crew have received an innovative e-learning training programme designed in conjunction with Special Olympics. Recognising that each and every individual is different and their needs may vary, the online module offers general guidelines on engaging with people of determination with compassion, respect and tolerance. Marking less than 20 days to go, the Local Organizing Committee (LOC) of Special Olympics World Games Abu Dhabi 2019 has revealed some of the celebrities and leading sports personalities that will be attending the much-anticipated event in March. In a stellar “who’s who” list of widely-acclaimed footballers, Brazilian legends Romario and Cafu, who helped the national team to World Cup glory in 1994 have confirmed their attendance for the world’s largest sports and humanitarian event of the year. Joining them is ex-Chelsea and Marseille striker Didier Drogba, who is Ivory Coast’s top-scorer. Also showing their support for the event are Special Olympics Global Ambassadors Michelle Kwan, Dikembe Mutombo, Vladimir Grbić, and Apolo Ohno. Kwan enjoyed a successful figure skating career that saw her win two Olympic medals and become America’s most decorated figure skater. She now sits on the Special Olympics International Board of Directors. Also on the Board of Directors is former NBA star, Mutombo, who has represented the likes of Denver Nuggets, Houston Rockets and Atlanta Hawks during his 18-year illustrious career. Grbić, who played an integral role for Serbia’s volleyball national team including their gold medal triumph at the 2000 Olympic Games, will be part of the event. Short track speed skating competitor and the most decorated American Olympian at a Winter Olympics, Apolo Ohno, will also be in attendance. With the World Games marking the 50-year anniversary of the Special Olympics movement, the family of Special Olympics Founder, Eunice Kennedy Shriver, will also be attending the World Games. Shriver’s son, and current Special Olympics Chairman, Dr. Timothy Shriver, is set to give a speech at the Opening Ceremony of the Games. More celebrities and sports stars will be confirmed ahead of the event, with many lined up to walk out with the athletes at the Athletes Parade during the Opening Ceremony on 14 March. More details will be released by the LOC ahead of the event. Michelle Kwan said “I’m looking forward to arriving in Abu Dhabi and meeting all of the amazing athletes and coaches who have worked so hard, overcome so many hurdles and now get to represent their country and their families on one of the biggest stages imaginable. “Special Olympics World Games Abu Dhabi 2019 is going to be a phenomenal occasion that will go down in history as one of the biggest and best World Games ever held. As a Global Ambassador for Special Olympics, I’m immensely proud to once again be part of a World Games, especially one as significant as this. Khalfan Al Mazrouei, Managing Director of Special Olympics World Games Abu Dhabi 2019, said: “We look forward to welcoming renowned sports stars and leading lights in their field to support and inspire the athletes as the world comes together in the UAE to celebrate inclusion. The UAE will welcome over 7,500 athletes from more than 190 nations for Special Olympics World Games Abu Dhabi 2019 between 14-21 March. This will be the first World Games to be held in the Middle East, and the most unified Games in the 50-year history of the Special Olympics movement, involving People of Determination in every aspect of the event. Results will be updated regularly throughout the Games. ESPN’s global coverage of the 2017 Special Olympics World Winter Games in Austria, the largest sporting and humanitarian event in 2017, will begin March 18 — just one month away — with a live three-hour special capturing the inspiration, pageantry, performances and special guests of the World Winter Games Opening Ceremony. It marks the first-ever live coverage of the World Winter Games. From Sunday, March 19, through Friday, March 24, a nightly program – Special Olympics World Winter Games 2017 – will bring viewers the stories, competition showcase, interviews and more from Austria. 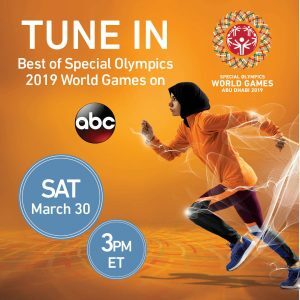 As an official broadcaster of the Special Olympics World Winter Games, ESPN’s coverage will be carried across the ABC and ESPN family of networks in the U.S. (ABC, ESPN2) as well as streamed on the ESPN app and WatchESPN (full schedule below). ESPN’s coverage will also be carried in 190 countries and territories around the world, including on ESPN television and streaming channels in Latin America, Africa, the Caribbean, Australia, New Zealand and the Pacific Islands, TSN in Canada, SONY ESPN in India, ESPN on BT Sport in the UK and Ireland, Tencent digital platforms in China (through ESPN’s long-term collaboration with Tencent) and the ESPN Player streaming service in Europe. Additionally, through syndication, ESPN coverage will appear in dozens of countries and territories. It marks the broadest-reaching coverage ever for a Special Olympics World Winter Games. Toyota will again be a sponsor of ESPN’s coverage, as it was for the 2015 Special Olympics World Summer Games coverage. ESPN’s coverage of the World Winter Games Opening Ceremony will mark the first-ever complete, live coverage of the star-studded spectacle and will be hosted by Good Morning America’s Robin Roberts, ESPN’s Lindsey Czarniak and Kevin Negandhi and ESPN contributor and Special Olympics Global Messenger Dustin Plunkett. ESPN’s Marty Smith will be with the U.S. delegation for the Opening Ceremony, providing reports throughout. ESPN’s coverage will be live from the Planai Stadium in Schladming-Rohrmoos and will bring viewers the Parade of Athletes, the lighting of the Special Olympics Cauldron, as well as capture performances by multi-Grammy Award-winning musician Jason Mraz, as well as 13-year-old winner of America’s Got Talent, Grace VanderWaal. It will also feature appearances by Princess Charlene of Monaco, Apolo Ohno, Hannah Teter, Dikembe Mutumbo, Michelle Kwan, Sam Perkins and others. ESPN’s nightly show – Special Olympics World Winter Games 2017 – will be produced from on site in Schladming-Rohrmoos, Austria with direct connectivity to ESPN’s Bristol headquarters. Each night, it will also include interviews, features, special guests, a daily “competition showcase” segment, reporting from ESPN’s Jen Lada, Victoria Arlen and Smith. Throughout both the Opening Ceremony coverage and its nightly show ESPN will tell the remarkable and inspiring individual stories of athletes, coaches and families from around the world in “Up Close and Personal” features. “Up Close and Personal” segments were first made famous by the legendary Roone Arledge at ABC Sports and returned to television (for the first time since 1988) with ESPN’s coverage of the 2015 Special Olympics World Summer Games in Los Angeles. ESPN’s global digital platforms – the world’s leading portfolio of digital sports properties in the world, including local editions of ESPN.com and the ESPN App, streaming platforms and more – will offer extensive coverage in the build-up to, and throughout, the World Winter Games. ESPN streaming services around the world will carry the coverage of the World Winter Games, including the Watch ESPN in the US, Brazil and Australia, ESPN Play throughout Latin America and the Caribbean, and ESPN Player in Europe, the Middle East and Africa. 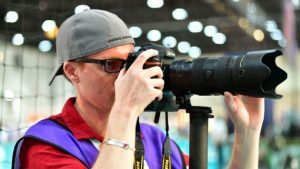 With news, long-form feature storytelling, video, exclusive blogs from athletes, coaches and volunteers, photo galleries and more, ESPN will examine the people and topics of the Special Olympics movement. ESPN’s Melissa Isaacson and Alyssa Roenigk will lead the reporting from on site in Austria with ESPN’s editorial teams from all over the globe contributing to the coverage. Every two years, Special Olympics holds its flagship event, the World Games, demonstrating sports excellence, which promotes equality, respect and inclusion for people with intellectual disabilities around the world. Transcending the boundaries of geography, nationality, political philosophy, gender, age, culture and religion, the world will come together to celebrate inclusion around the 2017 Special Olympics World Winter Games in Graz, Schladming-Rohrmoos and Ramsau, Austria 14 March – 25 March 2017. More than 2,700 athletes and 1,000 coaches representing 107 countries, along with 10,000 volunteers and thousands more spectators, will participate in and watch exciting sports and community events. This is the second time Austria has hosted the World Winter Games, having also staged the event in 1993. Sports featured are Alpine Skiing, Cross Country Skiing, Figure Skating, Speed Skating, Floor Hockey, Floorball, Snowboarding, Snowshoeing, and Stick Shooting. For more information on the 2017 Special Olympics World Games, including volunteer and sponsorship opportunities, visit www.austria2017.org and on social on Facebook, and Twitter. ESPN is proud of its relationship with Special Olympics, which spans more than 31 years and over the past three years, ESPN has continued to deepen its relationship with the Special Olympics movement. Earlier this year, ESPN and Special Olympics committed to continuing their alliance to use the power of sports to promote social inclusion and acceptance by reaching two agreements: an extension, and expansion, of ESPN’s Global Presenting Sponsorship of Special Olympics Unified Sports® and a new, three-year global programming agreement. The new $1.5 million grant supports Special Olympics Unified Sports, as well as other initiatives, and extends and expands a role ESPN has held since 2013. Dedicated to promoting social inclusion through shared sports training and competition experiences, Special Olympics Unified Sports joins people with and without intellectual disabilities on the same team. It was inspired by a simple principle: training together and playing together is a quick path to friendship and understanding. With support from ESPN and others, Special Olympics has grown this innovative and inclusive program to more than 1.2 million participants. As part of the continued support of Unified Sports, ESPN will invest in Special Olympics’ goal to build Unified Sports programming and resources in 10,000 schools by 2020 and ensuring 100,000 coaches receive new/renewed sports certifications by 2020. ESPN believes that, at its very best, sports uplifts the human spirit. Its corporate citizenship programs use the power of sport to positively address society’s most pressing needs through strategic community investments, cause marketing programs, collaboration with sports organizations and employee volunteerism, while also utilizing its diverse media assets. For more information go to www.espn.com/citizenship. The world’s largest sports and humanitarian event this year – the 2017 Special Olympics World Winter Games in Austria – today announced two very special performances for the event’s Opening Ceremony on Saturday, March 18, 2017. Performers include multi-Grammy award-winning folk-pop songsmith Jason Mraz and 13-year old winner of America’s Got Talent Grace VanderWaal. Jason Mraz will perform at the Opening Ceremony on March 18. Nearly 2,700 athletes and 1,000 coaches representing 107 nations will be welcomed at the Opening Ceremony, held at the Planai Stadium in Schladming, a regular stop on the World Cup circuit and site of the 2013 FIS Alpine World Ski Championships. International Board Member Sam Perkins, and other distinguished personalities will cheer on the athletes at the Planai. A global audience can watch coverage provided by ESPN, an official broadcast partner of the World Games. ESPN is distributing the Opening Ceremony around the world in multiple languages. Tickets to the Opening Ceremony and this once-in-a-lifetime experience are available for purchase via www.oeticket.com. More than 20,000 fans including families, volunteers, Heads of State, Ministers of Sport, and celebrities including trainer and television personality Jillian Michaels and ballroom dance champion, professional dancer and choreographer Louie Van Amstel will attend the Games and cheer on the athletes over the eight days of competition. Specific details of the night’s event, which will include the Parade of Athletes and culmination of the Final Leg of the Law Enforcement Torch Run® that will light the World Games cauldron, are being kept under wraps until closer to the event. The World Games will be hosted from 14 March-25 March and feature 9 Olympic-style sports: Floorball, Floor Hockey, Stick Shooting, Figure Skating, Short Track Speed Skating, Alpine Skiing, Snowboarding, Cross-Country Skiing and Snowshoeing. These Games will showcase the unlimited potential of people with intellectual disabilities – the largest disability population in the world. Competitions will take place in the cities of Graz, Schladming, Rohrmoos and Ramsau. All competitions are free and open to the public. Plan your outing to support the athletes by checking out the competition schedule here: Austria 2017 Games Schedule. The Opening Ceremony will take place at the Planai Stadium in Schladming, Austria on Saturday, March 18, 2017 starting at 2:00 p.m. EST/7:00 p.m. local Austrian time and will be brought to a worldwide audience by ESPN and local Austrian broadcast partner ORF. To learn more and purchase tickets, visit www.oeticket.com. Please visit www.austria2017.org for additional updates to Opening Ceremony performances. Every two years, Special Olympics holds its flagship event, the World Games, demonstrating sports excellence, which promotes equality, respect and inclusion for people with intellectual disabilities around the world. Transcending the boundaries of geography, nationality, political philosophy, gender, age, culture and religion, the world will come together to celebrate inclusion around the 2017 Special Olympics World Winter Games in Graz, Schladming, Rohrmoos and Ramsau, Austria 14 March – 25 March 2017. Nearly 2,700 athletes and 1,000 coaches representing 107 countries, along with 10,000 volunteers and thousands more spectators, will participate in and watch exciting sports and community events. This is the second time Austria has hosted the World Winter Games, having also staged the event in 1993. Sports featured are Alpine Skiing, Cross Country Skiing, Figure Skating, Speed Skating, Floor Hockey, Floorball, Snowboarding, Snowshoeing, and Stick Shooting. Special Olympics World Winter Games Austria 2017 sponsors include: Energie Netze, Audi, Special Olympics Founding Partner Coca-Cola, Uniqa and Official Technology Partner Microsoft. For more information on the 2017 Special Olympics World Games, including volunteer, sponsorship opportunities and the complete list of sponsors, visit www.austria2017.org and on social on Facebook, and Twitter. Jason Mraz has quietly amassed a youthful, diverse, and vibrant fan-base throughout all parts of the globe. Since getting his start in coffeehouses in his adopted city of San Diego, Mraz has brought his positive message and soulful, folk-pop sound to rapt audiences around the world through his recordings, vibrant live performances, and philanthropic efforts. Along the way, he has earned diamond, multi-platinum or platinum certifications in numerous territories for his various releases, made pop history with his record-breaking classic single, “I’m Yours” and “I Won’t Give Up”, racked up 2 Grammy Awards among 6 nominations, won a prestigious Hal David Songwriter Hall of Fame Award, won Teen Choice and People’s Choice awards, sold out amphitheaters and arenas across the globe, including sell-outs at such iconic venues as The Hollywood Bowl, Madison Square Garden, and London’s O2 Arena. Mraz is first and foremost a committed global citizen. His impassioned social activism and philanthropic efforts span wide-ranging environmental advocacy and ardent support for LGBT equality. Thirteen-year-old America’s Got Talent winner Grace VanderWaal captured the hearts of America with her unique singer-songwriter talent, performing all original music during the AGT competition using her signature ukulele. Grace’s AGT audition clip featuring her song “I Don’t Know My Name” went viral and is approaching 200 million views, with rockstar Stevie Nicks commenting, “She reminds me a lot of me in a lot of ways…Whatever happens, Grace is going to the top.” The young breakout star has received celebrity praise from the likes of Lady Gaga, Ashton Kutcher, Jason Mraz, Katy Perry, Reese Witherspoon, Shawn Mendes and Taylor Swift. Signed to Columbia Records and Syco Music, Grace released her debut EP Perfectly Imperfect on December 2, and it debuted in the Top 10 on Billboard’s Top 200 Albums chart. Special Olympics USA is proud to announce that it will send a 200-member delegation to represent the United States at the 2017 Special Olympics World Winter Games, being held March 14-25, 2017, in Graz, Ramsau and Schladming, Austria. Special Olympics USA, the national team that represents the United States at the Special Olympics World Summer and Winter Games, is comprised of 141 athletes, 40 coaches and approximately 20 delegation members who support team operations. The delegation also includes Special Olympics Unified Sports teams, where people with and without intellectual disabilities compete together, as teammates. Team members will compete in seven sports: alpine skiing, cross-country skiing, figure skating, floor hockey, snowboarding, snowshoeing and speed skating. Every two years, the world transcends the boundaries of geography, nationality, political philosophy, gender, age, culture and religion to come together for the Special Olympics World Games. Alternating between summer and winter Games, this event is the flagship event of the Special Olympics movement, which promotes equality, tolerance and acceptance around the world. This is expected to be the largest Special Olympics World Winter Games in history. An estimated 2,600 athletes from 106 nations will compete in 9 Olympic-type sports at the 2017 Special Olympics World Games: Floorball, Floor Hockey, Stick Shooting, Figure Skating, Speed Skating, Alpine Skiing, Snowboarding, Nordic Skiing and Snowshoeing. ESPN’s global television networks and digital media will bring extensive coverage to sports fans and supporters of the Special Olympics movement around the world. ESPN’s coverage, from March 18-25, marks the first-ever global coverage for a World Winter Games event. As an official broadcaster of the Special Olympics World Winter Games, ESPN’s television coverage will be carried across its networks in the U.S. as well as streamed through WatchESPN and the ESPN App. Bank of America is the Premier Sponsor of Special Olympics USA. Official sponsors for Special Olympics USA include Finish Line, Burton and Champion. Every two years, Special Olympics holds its flagship event, the World Games, demonstrating sports excellence, which promotes equality, respect and inclusion for people with intellectual disabilities around the world. Transcending the boundaries of geography, nationality, political philosophy, gender, age, culture and religion, the world will come together to celebrate inclusion around the 2017 Special Olympics World Winter Games in Graz, Schladming-Rohrmoos and Ramsau, Austria 14 March – 25 March 2017. More than 2,600 athletes and 1,000 coaches representing 106 countries, along with 10,000 volunteers and thousands more spectators, will participate in and watch exciting sports and community events. This is the second time Austria has hosted the World Winter Games, having also staged the event in 1993. Sports featured are Alpine Skiing, Cross Country Skiing, Figure Skating, Speed Skating, Floor Hockey, Floorball, Snowboarding, Snowshoeing, and Stick Shooting. For more information on the 2017 Special Olympics World Games, including volunteer and sponsorship opportunities, visit www.austria2017.org and on social on Facebook, and Twitter.